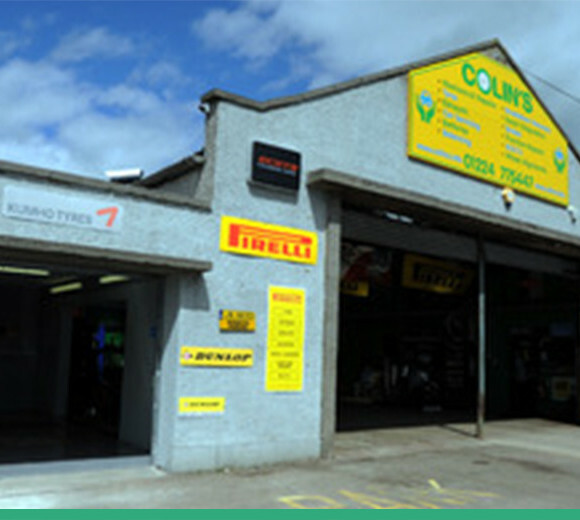 1Colin’s tyres branch in Dyce is situated on the Industrial estate near Aberdeen airport. The garage deals with everything from tyre and exhaust fitting to full services and MOT’s. We deal with pretty much every type of vehicle from cars, vans, buses, HGV’s and we are also now qualified to cater for the motor bike enthusiast. Pay us a visit and enjoy a fast and professional service with great customer service. If you would like to book an MOT or service please call ahead before you arrive and one of our team will be glad to get you booked in.